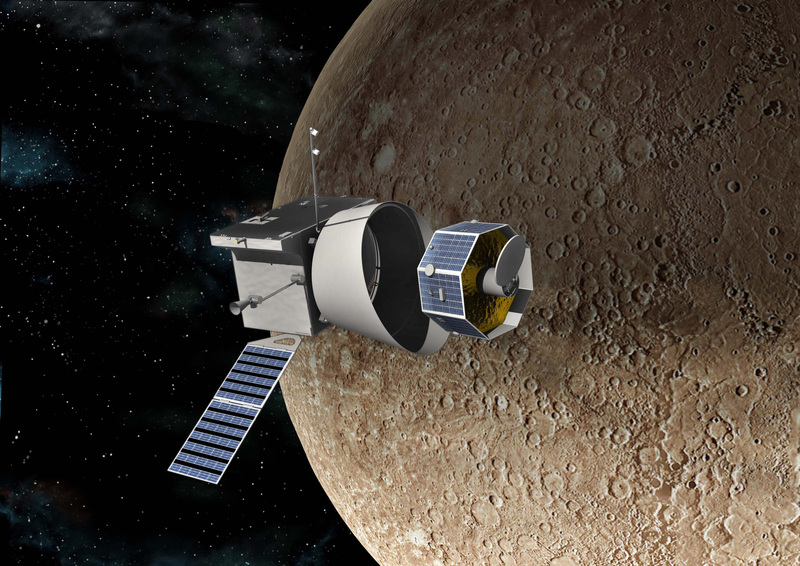 Mars Express, so called because of the rapid and streamlined development time, represents ESA's first visit to Mars. 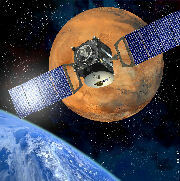 The spacecraft borrows technology from the failed Mars 96 mission and from ESA's Rosetta mission. The mission helps to answer fundamental questions about the geology, atmosphere, surface environment, history of water and potential for life on Mars. 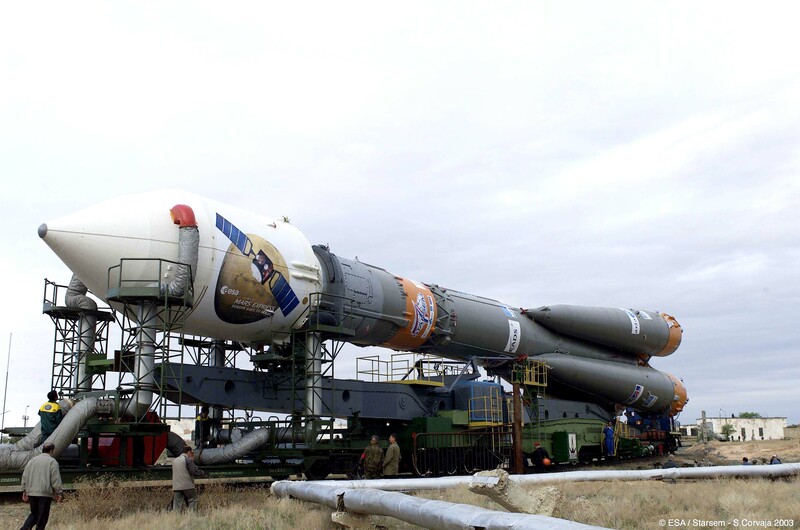 The journey to the red planet began on 2 June 2003 with the launch from the Baikonur Cosmodrome on a Soyuz-Fregat rocket. It ended on 25 December 2003 with the successful orbit insertion. Mars Express opened a new era for Europe in planetary exploration. Mars Express has a lander (Beagle 2, built in the UK), the lander designed to perform exobiology and geochemistry research. Although the lander failed to land safely on the Martian surface, the orbiter has been successfully performing scientific measurements since early 2004, namely, high-resolution imaging and mineralogical mapping of the surface, radar sounding of the subsurface structure down to the permafrost, precise determination of the atmospheric circulation and composition, and study of the interaction of the atmosphere with the interplanetary medium. The total mass budgeted for the science payload is 116 kg..
Analyzer of Space Plasmas and Energetic Atoms (ASPERA, Sweden) - Investigates interactions between upper atmosphere and solar wind. Is mounted on the top face. High Resolution Stereo Camera (HRSC, Germany) - Produces color images with up to 2 m resolution. Is mounted inside the spacecraft body, aimed through the top face of the spacecraft, which is nadir pointing during Mars operations. Sub-Surface Sounding Radar Altimeter (MARSIS, Italy) - A radar altimeter used to assess composition of sub-surface aimed at search for frozen water. Is mounted in the body and is nadir pointing, and also incorporates the two 20 m antennas. Mars Express Lander Communications (MELACOM, UK) - Allows Mars Express to act as a communication relay for landers on the Martian surface. Mars Radio Science Experiment (MaRS, Germany) - Uses radio signals to investigate atmosphere, surface, subsurface, gravity and solar corona density during solar conjunctions. It uses the communications subsystem itself. Visible and Infrared Mineralogical Mapping Spectrometer (OMEGA, France) - Determines mineral composition of the surface up to 100 m resolution. Is mounted inside pointing out the top face. Planetary Fourier Spectrometer (PFS, Italy) - Makes observations of atmospheric temperature and pressure (observations suspended in September 2005). Is mounted inside pointing out the top face and is currently working. Ultraviolet and Infrared Atmospheric Spectrometer (SPICAM, France) - Assesses elemental composition of the atmosphere. Is mounted inside pointing out the top face. 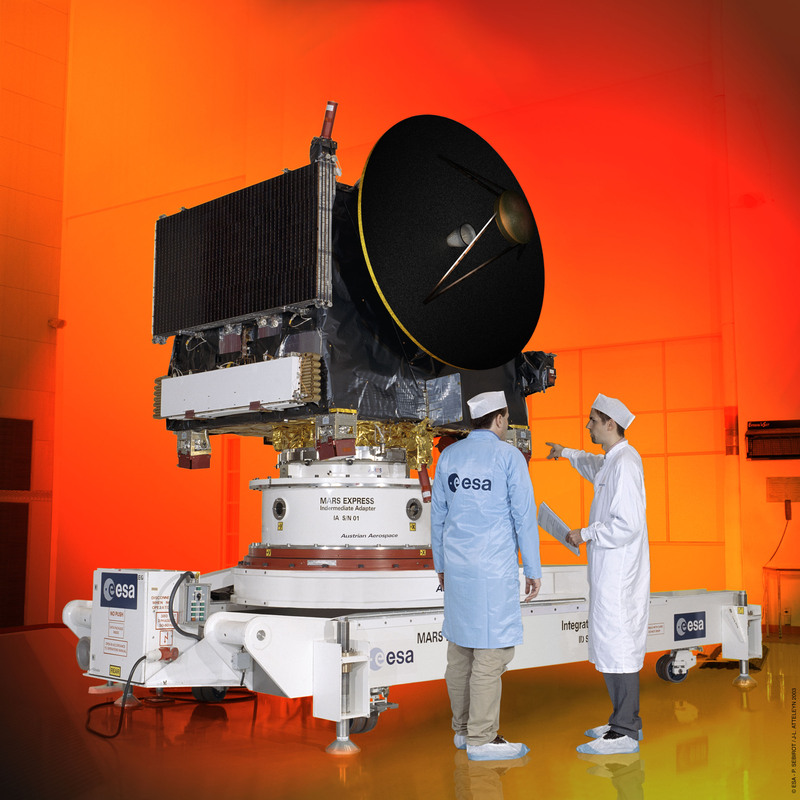 Our engineers developed the EGSE for SPICAM instrument. 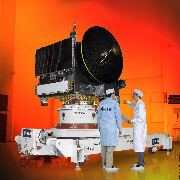 SPICAM (Spectroscopy for Investigation of Characteristics of the Atmosphere of Mars) is an imaging spectrometer for ultraviolet and infrared radiation. SPICAM is equipped with two channels, one for ultraviolet wavelengths and one for infrared.